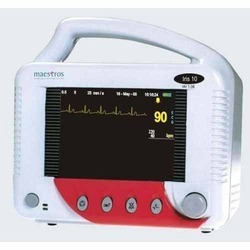 We are engaged in offering our clients with a qualitative range of ICU Equipments which is made from high grade material and advanced technology. Our range is in accordance with the set industry standards and offered at competitive prices. They are highly appreciated for features like durability, robust construction, Users-friendly and easy to clean. 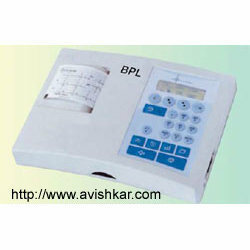 We are the leading and prominent Manufacturer, Supplier and Exporter of Digital Timer. 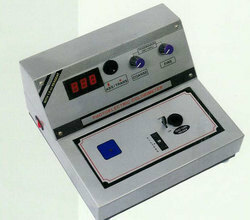 Fully microprocessor controlled digital system with a touch panel. Time : 0.1 sec. to 1.9 sec. 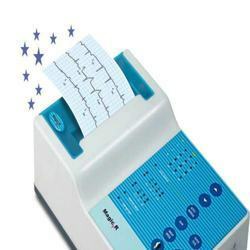 We are engaged in offering a broad gamut of ECG Machines such as ECG Machine Magic R to facilitate accurate readings of different heart functions. 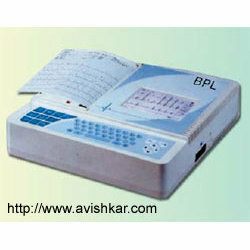 These are widely used by physicians as well as cardiologists and are highly appreciated for their outstanding ability. 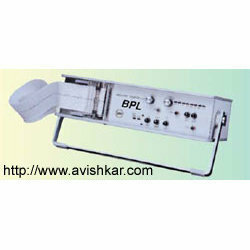 These machines are precision engineered and offer dependable output. We manufacture these by using the highest grades of raw material components that are procured from the established vendors of the industry. These are rigorously tested for quality by conforming to well defined criteria of the industry. 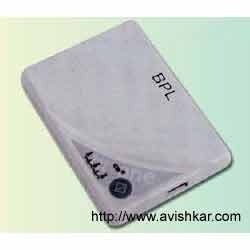 Our esteemed customers can avail these at economical customers. 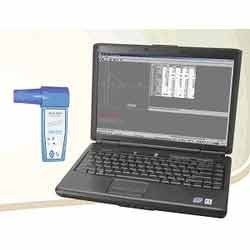 We are among the prominent manufacturer, supplier and exporter of best grade quality Computerized Stress Testing System. 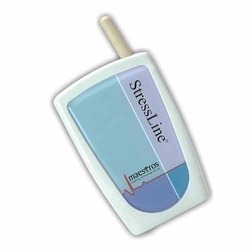 Our computerized stress testing system is used for cardiac stress testing fabricated using advanced technology. This testing system enables wireless and simple navigation which lessens variables which could interference to provide accurate and reliable results. Our testing system is an automated tool which offers excellent functionality and high performance fitted with powerful microprocessors. 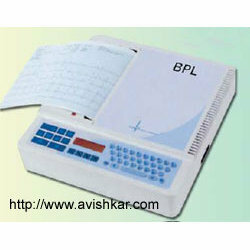 This testing system is one of the technology driven tools which is highly efficient and very durable. Accepts all standard injectors 10ml , 20ml & 50ml. Automatic diagnose & display of the injectors size. Double CPU supervision for safer injection & reliability. Accurate & sensitive pressure sensor. 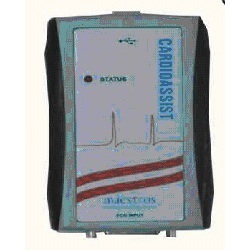 and real time ECG data option. 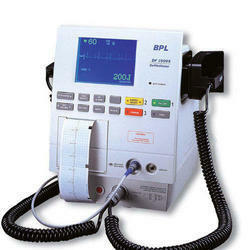 Keeping in mind, diverse choices of our clients, we are engaged in offering Difibrillator Machine. Our reliable vendors manufacture this machine in accordance with predefined industrial norms using superior quality factor input and advanced technology. 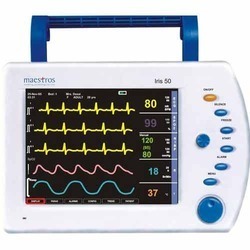 Defibrillation is a critical and crucial component in the treatment for sudden cardiac arrest. 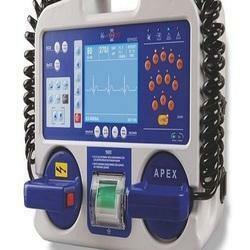 We offer AED (automated external defibrillators) for ventricular fibrillation, life-threatening cardiac arrhythmias and pulseless ventricular tachycardia. 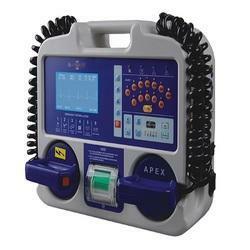 It is the first and only full-rescue AED useful for depth and rate of chest compressions. 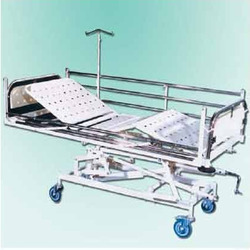 We are one of the leading manufacturers and exporters of quality Bed Intensive Care Unit fabricated by using premium quality components and other basic materials, which are procured from reliable vendors. We also have a well qualified and experienced team of quality controllers who test these products on well defined parameters to ensure their quality with adjustable and fitted beds with various nuts and bolts. 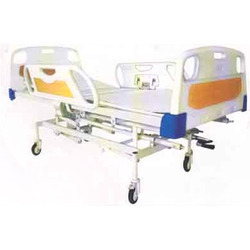 We are one of the renowned manufacturers of ICU Bed Electric - ABS Panels frame work of these beds is rectangular in shape, and is made using Epoxy powder coated, these products are in line with international standards. 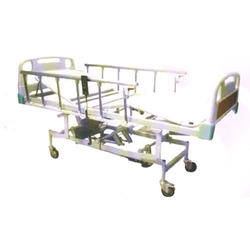 These are manufactured using premium grade raw materials and in accordance with international standards. 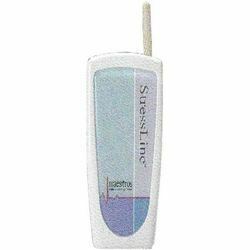 They are accessed at a cost effective price. 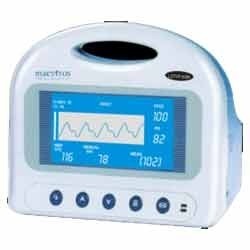 Iris 20 ICU Equipments offered provides working as portable patient monitor and can be used on adults, pediatrics and neonate. 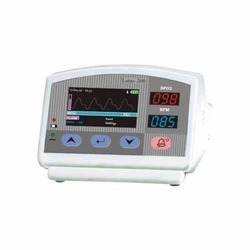 Coming with high resolution TFT display support, the equipment features 3/5 lead monitoring as well as easy menu driven operations. 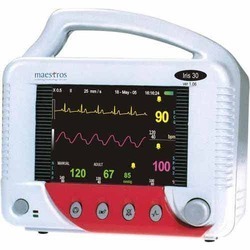 Some of its other features include support of audiovisual alarm, 24 hours graphical / tabular trend as well as in-built rechargeable Li-ion battery that provides for longer usage time without support of electricity. 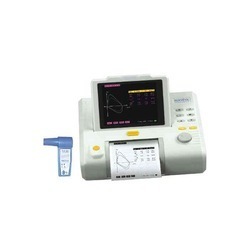 Infusion Pump Volumetric offered comes under model option of MIP 200 and features curvilinear peristaltic based pumping mechanism. 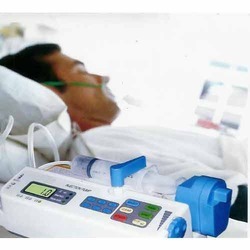 With compatibility with IV sets of any standard, it has flow rate of 1-1100 ml/h as well as accuracy support for dedicated IV sets of + 3%, standard IV sets; + 5%. 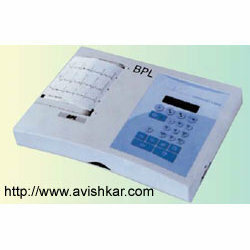 Further, these can be provided with volume of 1-9999 ml as well as KVO rate of 4 ml/h. 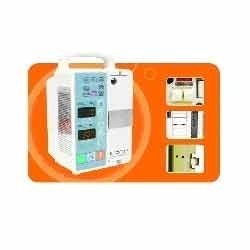 Some of the other features of the system include support for alarms occlusion, end program, low pressure, air-in-line, door open among others. 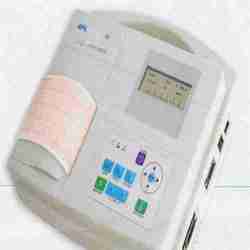 We can also provide the system with additional features of automatic power switching, real-time shift totals, system malfunction, preset volume, mute button, bolus, drip rate setting.